Do you keep on getting that citrusy, tart taste in your coffee? It’s not normal and is a sign that something is going wrong somewhere in the brewing process. Luckily, it’s an easy fix so long as you understand how the brew works, and particularly extraction. So, first off, why does my coffee taste sour? The most likely explanation is that you are underextracting the coffee. This means that your drink is full of the early-extracting acidic compounds with not enough of the later-extracting sugars and bitter compounds that balance out the taste. 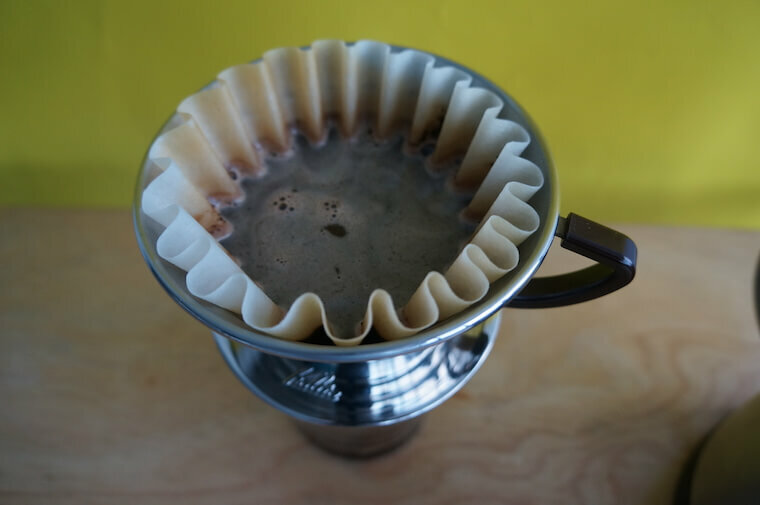 You can fix this by increasing the extraction by using a finer grind, a longer brew time or a hotter water temperature. It’s also possible that you simply do not like the naturally acidic flavors of some coffee beans. The coffee you might be from certain African countries for instance can have intense tasting notes of lemon or orange that are usually considered desirable but may be off-putting to some and give that ‘sour’ taste. The issue of extraction is a key one, and a great thing to learn to take your coffee to the next level. So pay close attention and I’ll fill you in on everything you need to know. The extraction of your coffee is a term that simply means how much of the compounds in the coffee beans have been mixed into the water. In technical terms, we refer to this as a % of TDS which stands for Total Dissolved Solids. You can measure this if you’re willing to buy an $800 refractometer but you can fix your sour issues without it, let me assure you! Here’s a quick explanation of what is going on throughout the extraction process. When the coffee yield is under 18% the early-extracting acids dominate the dissolved solids and cause a biting acidity. When the coffee yield reaches over 22% the later-extracting bitter compounds and balancing sugars are over-absorbed into the coffee and ruin the taste by making it bitter. So you can see that 18-22% amount is where you get the perfect balance of total dissolved solids and a great tasting coffee. It’s for this reason that measuring your variables like brew time and grind size is so important and why many pro’s (and myself, who is definitely not a pro) record this stuff. Here’s a snapshot from the text document I use. This is really useful because if I find I absolutely nail the coffee one time, I know exatly how I did it. And I do save the conditions that create particularly great brews. It also makes it simple to adjust if something goes wrong, for instance if my coffee is tasting a little too sour. As a quick guide, your problems with sourness are coming from the acidic compounds in your coffee that get extracted early on in the brewing process, typically less than 18% of the total dissolved solids. Points 2,3 and 4 in this list cover underextraction. What you might also have a problem with is all round bad extraction which is covered by point number 1 which we’re starting with. 1. Inconsistent grind size. If you’re using a cheap grinder then this is probably the cuplrit. And sadly, when I say cheap, I mean anything less than $100 which is really the minimum if you’re serious about grinding your own coffee at home. A cheap grinder that cannot produce chunks of an even size may give you more coarse coffee grounds than you would like, these coarse chunks of coffee will extract slowly and fill your coffee with the more acidic compounds. Solve by… purchasing a better coffee grinder or buying preground coffee. 2. Grind is too coarse. If the coffee grounds you are using are too big in size (=coarse) then they may not fully extract in the time you’ve given to let them brew. Again, this will cause the majority of the solids that make up your coffee to be the early-extracting acidic compounds that can lead your coffee to a sour demise. Solve by… Making your coffee grind a little finer. 3. Water temperature is too cool. The hotter the temperature of the water is, the quicker the coffee will extract. Ideally, you want to get pretty close to boiling point btu not too hot that the coffee itsefl will burn, which will cause you all kinds of other headaches. A brewing temperature of 195-202F (91-94C) is ideal for brewing according to Scott Rao’s book Everything but Espresso, and you must take care that that’s the temperature while it’s brewing not the temperature in the kettle which will need to be a little higher. If you have no way of measuring temperature then you need to look at #2 and #4 to make the adjustments. Solve by… using hotter water to brew. 4. Brew time is too short. If you don’t give your coffee grounds enough time to interact with the water then you will find, again, that the solids that are getting extracted are the more acidic ones that cause that unpleasant sourness. Solve by… brewing for a longer period of time. What Happens If You Overextract? 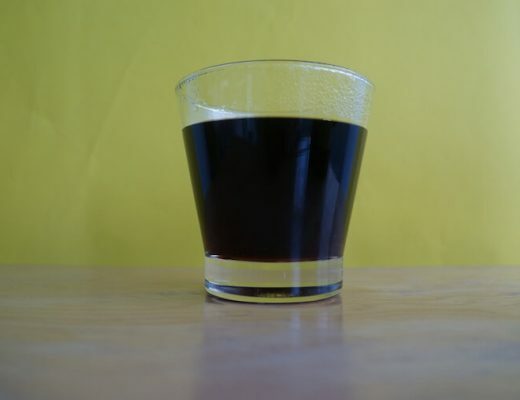 So we’ve established that your coffee is acquiring these sour tastes due to an underextraction of the coffee and we’ve also looked at how the different variables can lead to an underextraction, so what happens if you go too far the other way? An overextraction happens when you brew for too long, when the grind size of your coffee is too fine or when your water is too hot. This causes an overextraction which in technical terms is over 22% of the total dissolved solids of the coffee end up in your drink. The compounds in the coffee bean that extract late are the more bitter tasting flavors. 90% of the time if your coffee is too bitter then you’ve overextracted. And actually, the rule of thumb that sourness = underextraction and bitterness = overextraction is a very useful tool for taking your coffee drinking from a 7/10 to a 9/10 or even a 10/10. It is true that the longer you extract for the stronger your coffee will become, and there are those who like to leave their coffee brewing a little longer for this reason. The thing is, caffeine extracts quickly so there is diminishing returns to this line of thinking. I remember reading about one test where 50% of the caffeine gets absorbed within the first few seconds! So brewing longer is not a reliable way of increasing the strength of your coffee and will simply to lead to undesirable bitter flavors. If you really want your coffee strong, use more coffee. You can’t go wrong with that. If you’re struggling in this area then there are two products that can solve your problems. First, if you’re using a cheap (<$50 say) coffee grinder then it's likely that's your problem in regards to the sourness. Even if it isn't, I'd recommend throwing it away anyway. 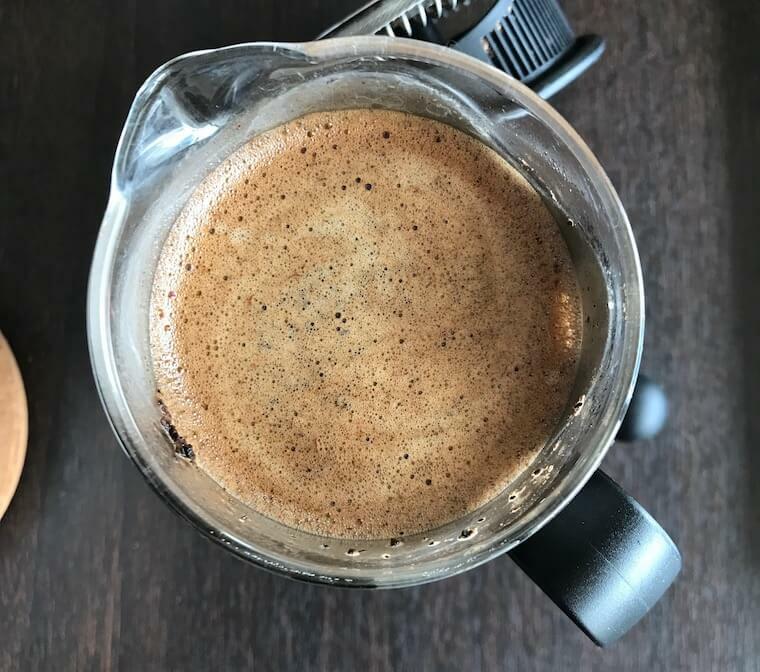 If you're ready to invest a bit into your home coffee brewing then you can go the grinder route and if not then I recommend getting your local roaster to grind it for you. They'll have an excellent grinder they use and you won't notice the difference that much at first. Coffee grinders themselves are not as cheap as you would like or even guess. The engineering behind creating coffee burrs than spin together to grind up coffee beans is fairly complicated already, then you add in the challenge of not allowing fine pieces of coffee (fines, they're called) to pass through the gaps in the burrs. So you're really looking at $100 or more to get one that is worthy of making good quality coffee at home. The automatic coffee grinders are most people's first choice and the usual recommendation is Baratza which offer a great entry level coffee grinder that can last you years. Here's the link. If you're happy to spend 30 seconds or so rotating a crank in the morning then you can get even better grind consistency for roughly the same price. It helps not having to pay for the motors or the electrics. There's a couple of options I like so I’ll just leave the link here to the article I posted about my favorite hand coffee grinders. If you want complete control over your brew then you need control over the temperature. After a certain point, getting your water heated up over the stove becomes a little imprecise and a little inconvenient. Enter the Bonavita electric kettle. I own one of these babies and love it to bits. The first advantage is that you plug it into the wall and it just heats up on its own in less than a minute, that’s the convenient part. The second thing is that you can set the exact temperature you want, so you know your coffee will be made with the exact same conditions from one brew to the next. If you’ve been paying attention then you’ll understand how useful that is when you really are serious about your home coffee making. What If You Just Don’t Like Acidic/Sour Coffee? Your version of sourness may be interpreted very differently by someone else. You often see bags of coffee that say something like ‘delicate tones of acidity’. Well, acidity (or sourness) is considered a positive taste when it comes to coffee, and coffees that have a pleasant light acidity are often referred to as being ‘bright’. Some coffee beans are noted for the citrussy and fruity flavors, particularly those from certain African countries. A notable example is the Yrgacheffe coffee that comes out of Ethiopia. This coffee bean is famous for its powerful notes of lemon that obviously have an acidic nature to them. Of course, the acidity of these and other coffees is more subtle than overwhelming, but it’s possible that you simply do not get on with them. Your best bet is to try another coffee under the same conditions and see if you have the same problem. I’d recommend coffees that come from Asia, the beans that are grown in Indonesia are very popular such as Sumatran beans. These coffees are more noted for their earthy and smoky flavors, so you are much less likely to get an unpleasant acidity in your drink. Ok so you’ve absorbed all the info I’ve been throwing at you and you’ve got a handle on this sourness = underextraction stuff. But how do you put it into practice? Below I’m going to describe what we call “dialing it in” which is the coffee term for really getting that extraction good and making your coffee as good as it can be. My preference is to keep all the information in a text document that I update each time I make a brew differently. Here’s a look at one. 2. Make your brew with these conditions. 3. Taste your brew and try to describe it as much as you can, including positive and negative details and make a note of the impact of the flavors, there’s a big difference between “overpoweringly sour” and “lightly acidic”. Write down these in your text document, like below. 4. Observe and negative flavors and look at changing one of the variables to account for them. So for example, if you wrote down “overpoweringly sour” then you may want to drastically descrease the grind size so you extract much more. If you wrote “lightly acidic” then you may want to reduce the brew time just a tad to get your brew really nailed. This process that I’ve described is known in coffee circles as “dialing it in” and practically everyone who makes really good coffee does it. There’s simply no way around it. 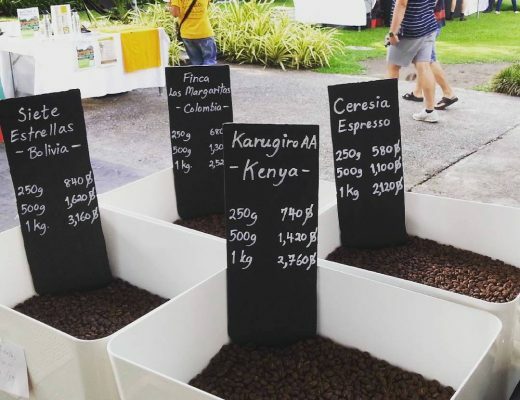 The finicky nature of coffee and how it extracts means you’ve never truly getting the best out of your coffee until you dial it in, and you have to do it differently for each type of coffee bean as none of them extract in quite the same way! It’s especially common in espresso circles where the stakes are higher and also coffee shops where you can’t afford a bad brew or you’re risking your reputation. Try asking anyone who has worked in a decent coffee shop what it is like. They’ll tell you that it takes like up to an hour before the place opens of trying and spitting out different espressos to get that stuff just right. 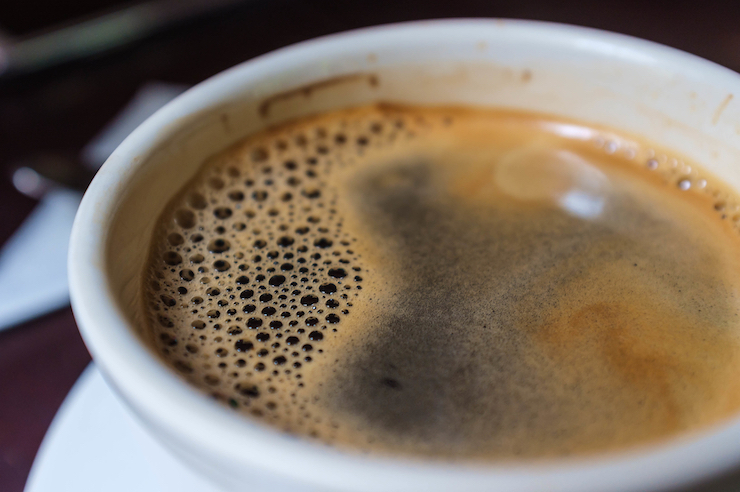 The other thing with espresso is that the high-temperature short-brew-time conditions mean that if something goes slightly wrong it can badly affect the taste of the brew. Consider if you tripped over in a marathon, you’d get up and it would be no big deal. 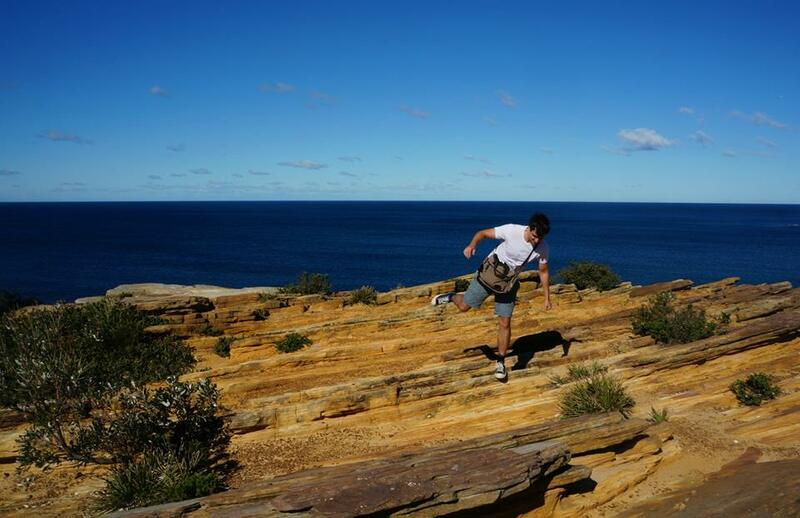 If you tripped over in the 100m then the race is automatically lost. If you’re interested in taking this to the next level I strongly suggest you check out this webpage about the “Coffee Compass’. It’s basically what I’ve talked about here with using undesirable flavors as a guide to how to change your brew process but in much more detail. If you take one thing from this article, I’d like it to be “sourness = underextraction + bitterness = overextraction”. Just knowing those two things can be very powerful in taking your coffee from ‘good’ to ‘great’. It puts a lot of beginner brewers off at first, I guess because it seems like effort, but the rewards are plentiful. 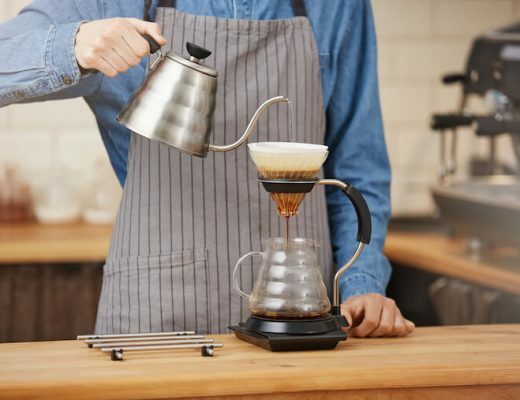 Tie all this in with making sure you’re not making any of the classic home brewing mistakes (check out my article here if you want to know what I consider to be the 6 mains ones) and you will be pretty close to making coffee as good as your favorite Third Wave coffee shop. Serious.